A student of the Indian Institute of Technology (IIT), Delhi, Ambar Srivastava, has developed a mobile phone-size haemoglobin metre, called TrueHb Hemometer, which works like a conventional glucometer with a tiny drop of blood from a pinprick on the disposable strip. TrueHb has been validated by the All India Institute of Medical Sciences (AIIMS) for its efficacy, and is expected to help identify and tackle anaemia effectively. It is the first case of innovation from the IIT-Delhi’s biomedical engineering department getting “productized”. TrueHb works like a conventional glucometer with just a tiny drop of blood from a pinprick on the disposable strip. It not only reads the accurate level within 45 seconds, but also stores up to 1,000 such readings. It can be charged like a mobile phone and allows up to 300 tests per charge. While the price of the TrueHb meter has not been fixed as of now, it is expected to be cheaper than most other similar devices in the market, which cost well over Rs 25,000. It will be very useful on the field for health workers, blood banks, primary health centres, the school health scheme of the government, and all point of care use, including for use at home, explained Srivastava. Read more in the report by Rema Nagarajan. A biopsy is done to diagnose the extent and type of damage to the liver caused by hepatitis, cirrhosis or cancer, by extracting a tissue sample with a needle, especially after a chronic or abnormal condition is indicated by blood tests, an X ray or ultrasound. Although biopsy is a key tool in diagnostics, the risk of internal bleeding, contamination, or infection cannot be ruled out. Bangalore-based startup IndioLabs (IL) has developed ‘BioScoop’, a cost-effective procedure that could revolutionize the way a biopsy is done. It extracts tissue automatically, eliminating the possibility of contamination and other problems associated with conventional biopsy, all in three seconds. The device consists of a multifunctional needle that pierces the skin and cuts soft liver tissue in one clean ‘scooping’ action. It is integrated with a ‘BxSeal’ system, which delivers a sealant directly to the spot from where the tissue is removed to prevent blood-loss and complications. A team of researchers, including Indian-origin scientist Dr. Raghu Kalluri, at University of Texas’ MD Anderson’s Department of Cancer Biology, suggest it is possible to develop a simple blood test to see if gene mutations associated with pancreatic cancer exist without the need of locating and testing tumor tissue. The team discussed the discovery of tiny particles called ‘exosomes,’ which are shed by cancer cells into the blood, containing the entire genetic blueprint of cancer cells. The team believes by decoding this genomic data and looking for deletions and mutations associated with cancer, they could develop a test that helps physicians detect cancer and treat patients. Dr. Kalluri said that because different forms of cancer are associated with different chromosomal mutations, they believe analysis of exosome DNA taken from blood samples may not only help determine the presence of a cancerous tumor somewhere in the body, but also identify mutations without a need for tumor sample. Read more in the DNA report. Did you know, every sixth car accident in the world happens in India? According to the National Crime Records Bureau, road accident fatalities crossed 1.3 lakh in 2010. The statistics also reveal that while accidents form one half of the problem of accidental deaths, lack of on-site emergency first aid accounts for the other half. 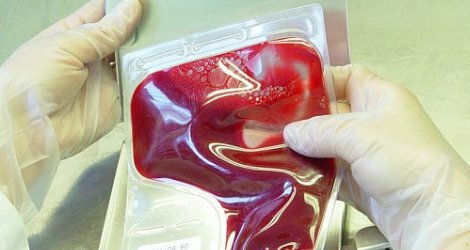 In the quest to find a solution to traumatic bleeding in case of road accidents, Leo Mavely and Ashish Pandya, students of bioengineering and biochemistry at NirmaLabs (an incubator at Nirma University) in Ahmedabad, have created a haemostatic emergency dressing for victims who would lose a lot of blood before reaching a hospital. During their research spread over a number of years, the duo found that a polymer extracted from shellfish could help develop a solution. Their discovery and further efforts resulted in a bio-dressing that they began to sell under the brand name of Axiostat in 2012. The product was patented thereafter. When Axiostat comes in contact with blood, the positively charged porous dressing absorbs and clots the negatively charged blood cells. The clot then becomes a physical barrier to prevent further blood loss. Once a patient reaches a hospital or a nursing facility, the Axiostat can be removed by applying saline water or just water. According to Mavely, co-founder and CEO of Axio Biosolutions, Axiostat can be applied by a layman. It has to be applied to a bleeding wound with some pressure and it stops the bleeding in less than three minutes. He also mentions that the dressing is made from glucosamine, an amino sugar, and is completely natural. Axiostat is available for Rs. 400 in five versions for different kinds of wounds including dental bleeding. Read more in this report by Shruti Chakraborty.